Have you heard of The Claw? If you have then I needn’t explain other than to say that some mothers of young children are complaining that it’s a precursor to the more sophisticated gaming machines for adults. 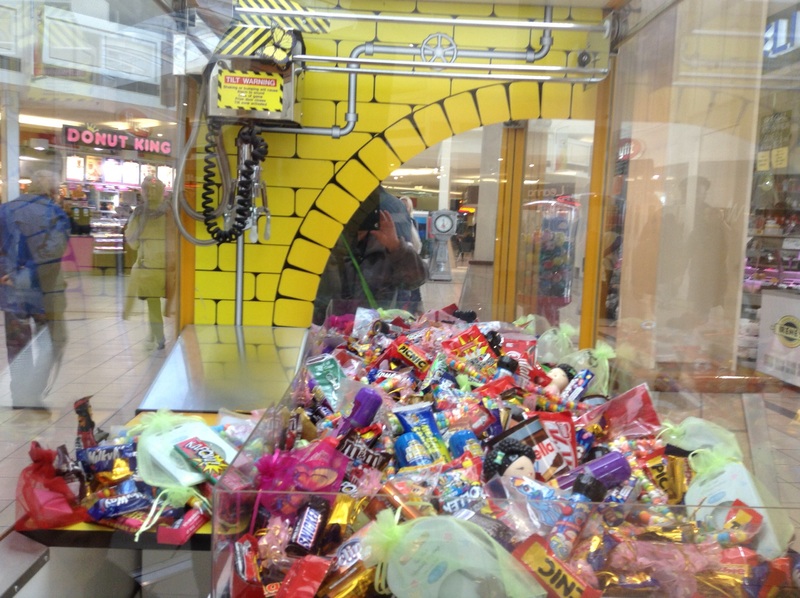 The Claw has insinuated itself into every shopping centre or mall where children are bound to see it and the goodies on offer. Neither the children’s nor the adult version is geared to allow the gamer to win. Gamer is such an innocuous term, don’t you think? I’m sure it was created to distract the punter (another fine word) from the real object of the game. (A bit like Kentucky Fried Chicken contracting to KFC), but euphemisms have never appealed to me. For those who aren’t familiar with The Claw, it’s not Captain Hook’s long lost brother but an attachment inside a Perspex box full of goodies. If you’re a good little girl or boy you pay your fifty cents down then press a button and the claw will grab a prize for you, if not, three seconds of excitement and it’s all over. A harsh lesson to be learned. Harder still is that even if you win a prize you’re landed with either a shabby looking stuffed toy you’d be tossing in the rag bag at spring cleaning time or a miniature chocolate bar that looks as if it has been there since Noah packed an overnight bag and went on a cruise. Perhaps it is Captain Hook’s evil brother. How can children resist a mountain of chocolates tumbling over each other? They are just waiting for a chance to be held in hot little hands. And if they don’t live up to their expectations then it’s another lesson learned. But I don’t think I want that sort of introduction to the real world for my grandchildren. ‘Grandma, can I play that game?’ The automatic adult answer was no. Then, as it’s me, the original lecturer on all things, I explain that it was rarely possible to get something for nothing, and that earning it would provide a more satisfying outcome in the end. I’m sure that the latter didn’t have as much an impact on a five year old as I would have liked, but repetition and teaching by example works. For a small outlay I said, chance is taken out of the equation. We can stop off at the Supermarket and be sure to get that chocolate or stuffed toy. It was unfortunate that just as I felt that I had made my point, a middle aged man put fifty cents into the machine, then pounded on it and tilted it then left with a swag of chocolates. We then had to have a conversation then about taking what doesn’t belong to you. Life has always been full of contradictions. That was one of those easily handled ones. But as I look around me, I’m noticing that giving clear guidelines to children about right and wrong is getting harder. We’ve allowed too many shades of greys to creep in. For example, I don’t know how I would have answered the question, had it come up, of why are those machines there in the first place? Because the only answer I can come up with is that it is a decision based solely on economic advantage. The company is renting space at the mall. One hand rubs the other. Perhaps my opinions are dated; perhaps despite being dated they are still worthwhile. I’m just glad that raising children is no longer my primary responsibility. It would drive me demented. I’ll just leave the job to my more optimistic children and hope for the best. I hate The Claw….really. Thanks for another well written and thought provoking post. Cheery, thanks so much for visiting. Wish something could be done about that claw, but unfortunately lots of children’s online games with their bells and whistles are also preparing our children for the adult world of gam(bl)ing. We can only fight it by balancing internet activities (can’t get out of it these days) with real time pursuits.